The Full Speed Ahead Orbit IS is the workhorse of Full Speed Ahead’s integrated headset line. The Orbit IS has all the same technology as the IS-CF, including the 36/45 degree angular contact bearings, but comes with an aluminum 16 mm tall cover to give greater bang for the buck. Weighs 64 grams. 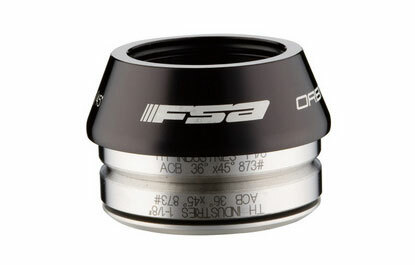 1-1/8″ steerer tube diameter.